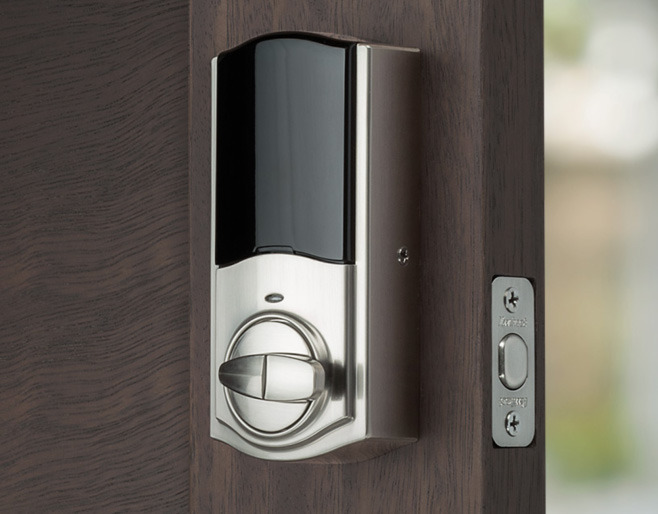 The Kevo Convert notably attaches onto existing deadbolts from the interior of a house or apartment, making it an option for renters as well as homeowners. For friends and other guests who need to get in, "eKeys" can be sent through the Kevo app for iPhone and Android. Another feature is auto-lock, which if toggled on will automatically secure a door 30 seconds after it's unlocked. People using a phone to control the Convert are normally limited to Bluetooth range. A Kevo Plus upgrade —costing $99.99 —is required for remote access. The accessory doesn't support Apple's HomeKit platform, but it does integrate with a variety of other devices, including Android Wear watches, Nest and Honeywell thermostats, and video doorbells by Ring and SkyBell. The Convert can be preordered for $149 from the Kwikset website or Home Depot. 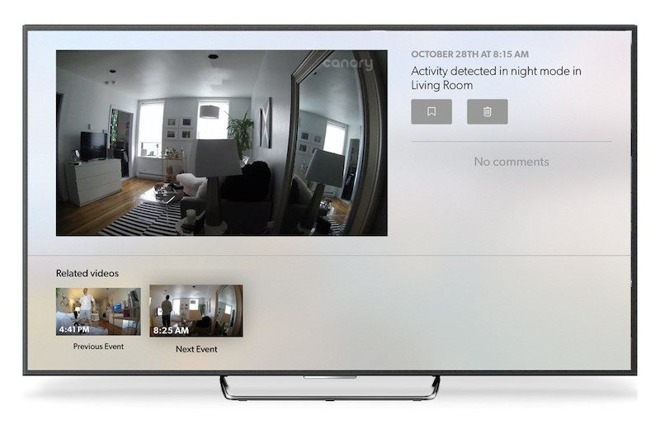 On the Apple TV, Canary and Canary Flex owners are presented with dashboard letting users switch between live and recorded feeds, or select a specific camera if they have more than one installed. Incidents with detected movement are grouped into "events," and can be replayed and bookmarked. The company's free iOS app should be updated with iPad support later today. On top of monitoring and recording, the app sends push notifications for suspicious movement, and can be used to track indoor air quality and temperature, call local emergency services, or even sound a 90-decibel siren.